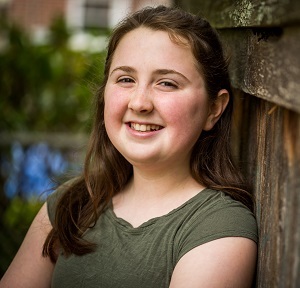 Her parents, Frank and Kate Grossman, told us that Ella is fortunate to live in a community that has very strong youth performing arts programs. Ella’s idea was to produce a benefit concert showcasing the other talented musicians from her neighborhood. The concert was held on the evening of January 25 at her school. With the help of her parents, she also set up a Go Fund Me page. Her overall fundraising goal was $1,000. This remarkable young fundraiser surpassed her goal and raised a total of $2,686.87 for our flood recovery. We hope that she and her family will be able to visit Houston in the near future to attend an Alley performance and tour our Neuhaus Theatre which she helped restore.